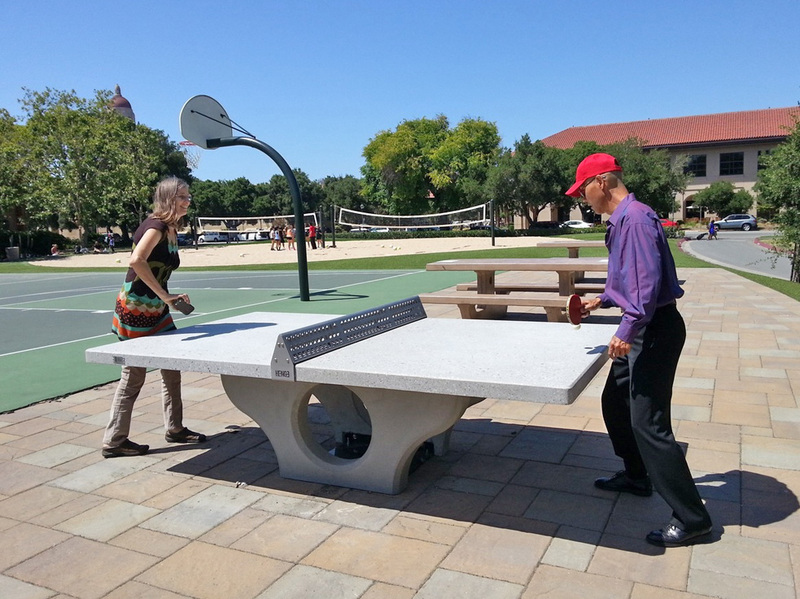 The Concrete Edge — Table Tennis, In Concrete. Henge Table. Concrete hates tension, loves compression. In plain English this means if you squeeze it, it is mighty, and if you stretch it, it breaks. Concrete that comes to a sharp edge invites wear and tear. Edges 90 degrees or under ask for trouble. Any glancing blow stands a chance to chip it. Plus, it hurts if your body scrapes against a right-angled edge. HENGE is all about the chance encounters that fill our public. So we avoided right angles when we designed our table. Let the encounters begin. Contact us to request Pricing, CAD Data, and Specification Sheets.